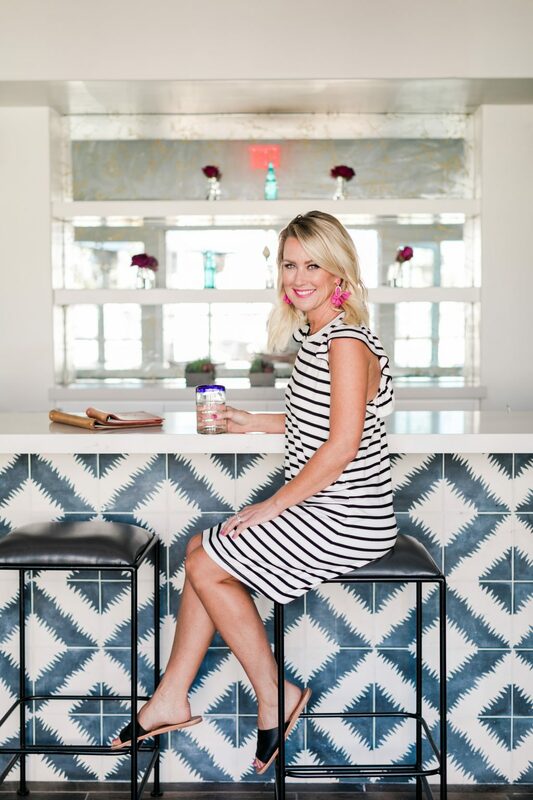 Sneak Peeks of the Gibson x Hi Sugarplum Resort Collection | hi Sugarplum! Friends!!! The waiting is almost over!! The Gibson x Hi Sugarplum Resort Collection launches ONE WEEK FROM TOMORROW!! Only one more week until the happy, colorful, packable Collection will be revealed. I can seriously hardly wait for January 29!! 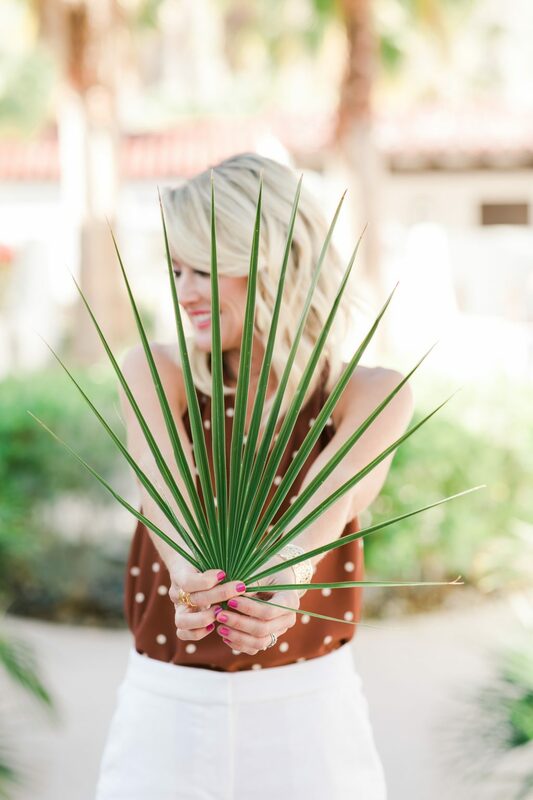 To celebrate, I’m sharing a few more sneak peeks from my photoshoot in Palm Springs. 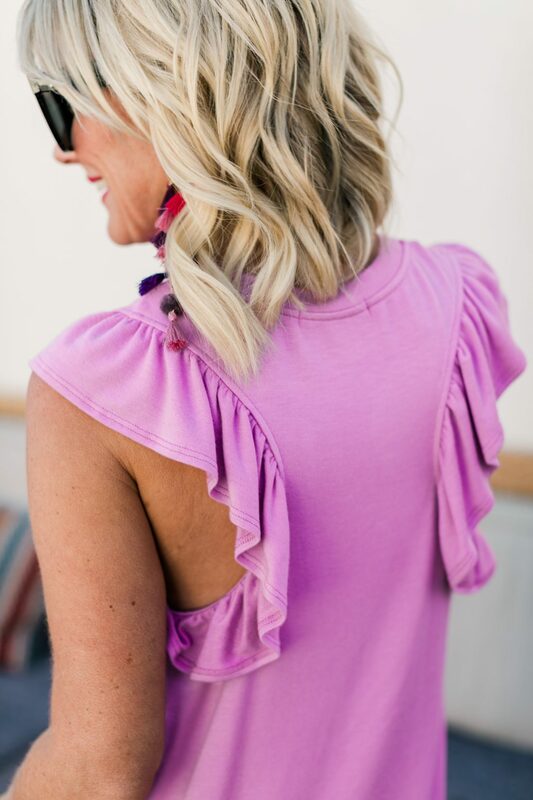 If you follow me on Instagram and Facebook, you saw last week’s reveal of another piece…the ruffle racerback tank dress!! 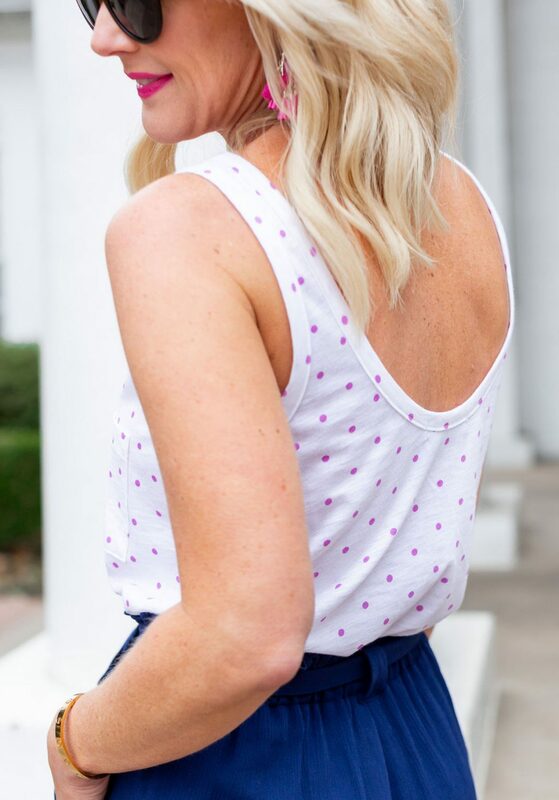 It’s everyone’s favorite tank from our first Gibson x Hi Sugarplum Collection, as a darling dress! And in the most luxurious, thick french cotton terry. 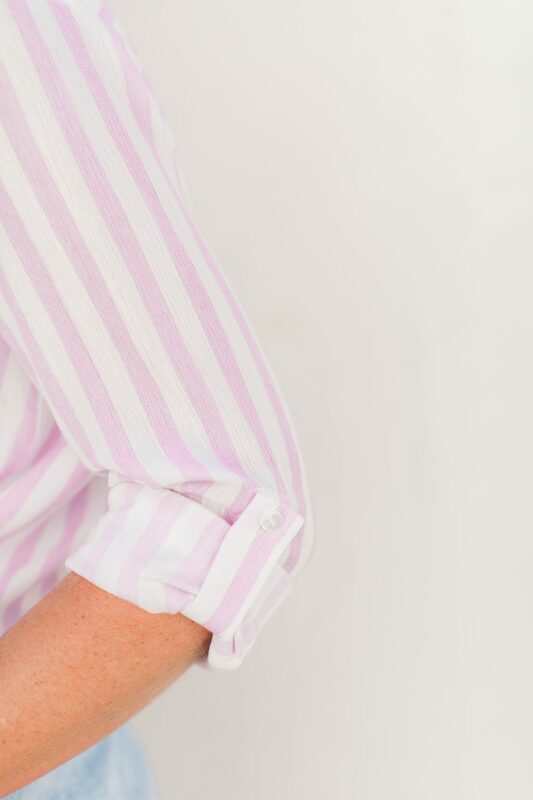 It’s seriously what fabric dreams are made of. 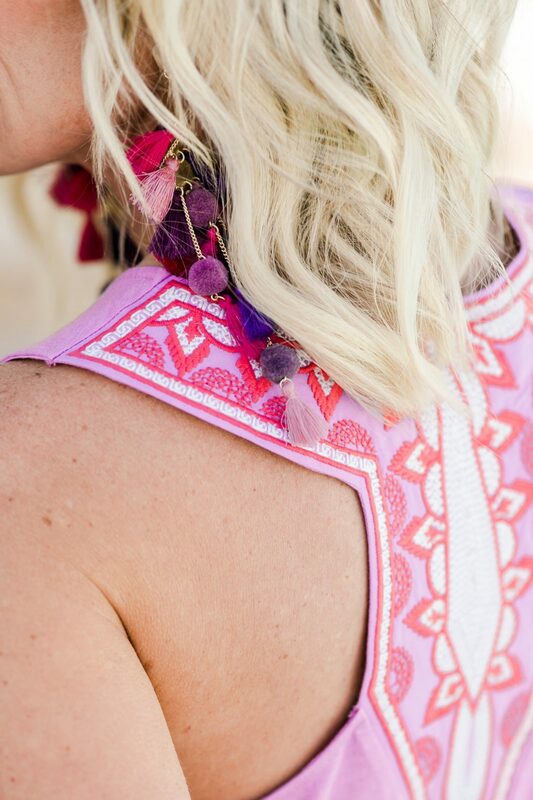 And here’s a peek at a few more of the pieces…I’m obsessed with the colors, patterns, fabrics, and details! Do you see why I’m so stinking excited?! 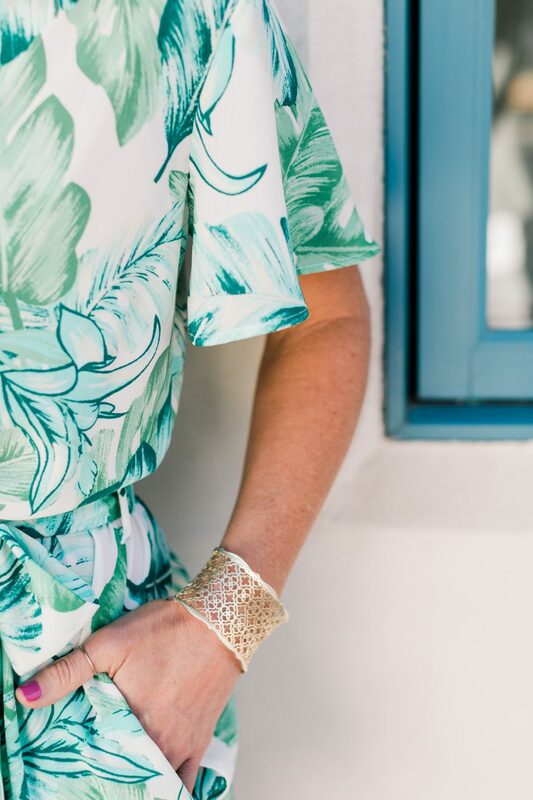 I love that each piece has it’s own special detail, and the entire Collection mixes and matches to make the perfect vacation-ready capsule wardrobe! 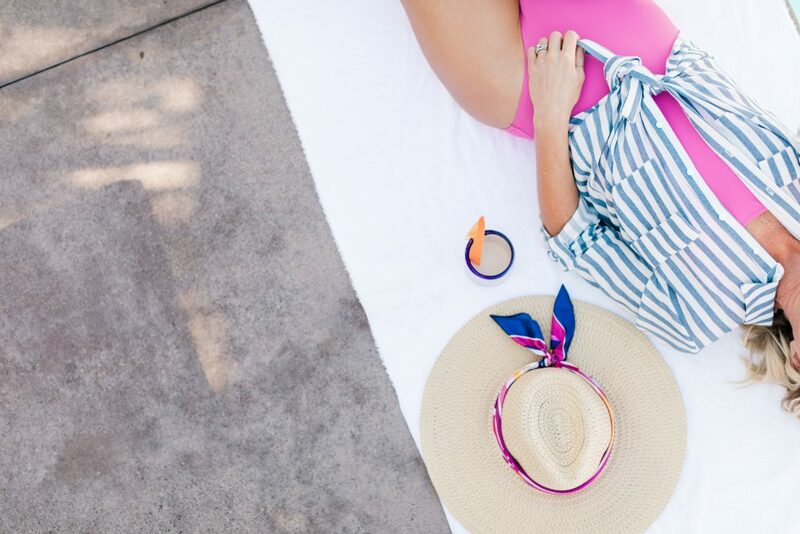 For all the FAQ, be sure to check out this post, and this post shares behind-the-scenes from the photoshoot in Palm Springs. I’ll be revealing more sneak peeks in the next week leading up to the launch on January 29, so stay tuned! Do you see something (or two or three?!) you like? Which pieces have you most excited?! 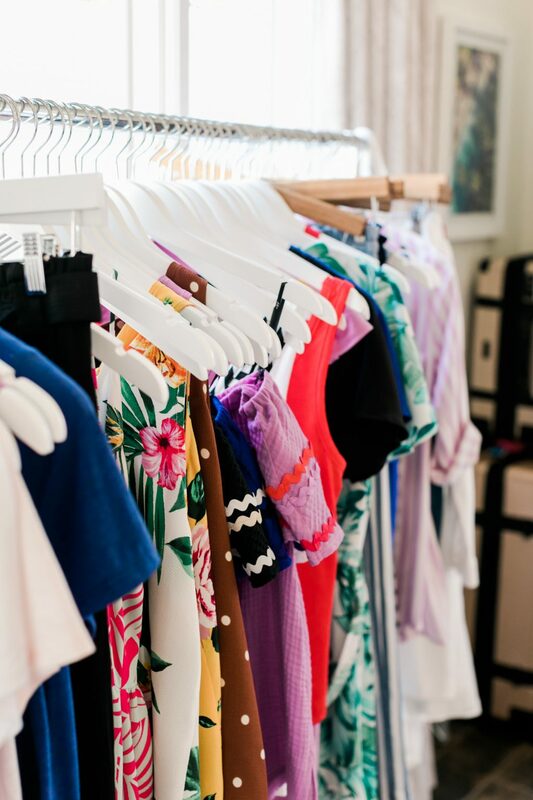 Don’t forget email subscribers will get first access to shop the Gibson x Hi Sugarplum Resort Collection, so sign up here. Counting down until next Monday! I already see so many great pieces that I will be rocking this spring!! Thanks, girlie!!! I can’t wait to share it entirely next Tuesday!! I am OBSESSED with this!!!!!!! It really does go all together beautifully! I know you said yes right away to the palm prints! This is making me so excited! Thaw color pallet is perfect. 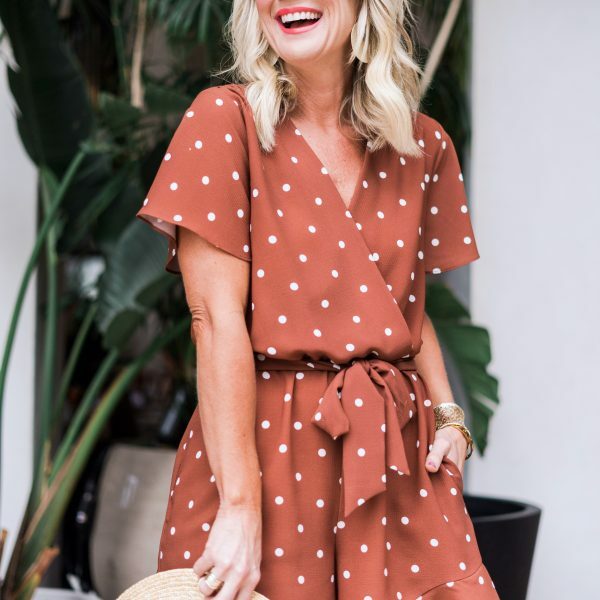 I love the deep orange polka dot top! I absolutely love everything! The details are gorgeous, and you never disappoint with your color selection. Since I am planning on ordering next week I have a question. How do you wear a bra with all the pretty racerback options? Congratulations! You must be so proud! I love the looks you have created, but the racerbacks and deep armholes will definitely leave out many of your bustier fans. Hi Stacy…they work great with a strapless bra! My mom is quite a bit bustier than me, and she wore strapless with all those styles and loved them! These items do look great and appear to be made from quality fabrics. I will admit to being skeptical about the holiday collection and waited until sale to purchase the 3/4 sleeve sequin top in black. Have been impressed with the quality of that garment. It is pretty but also lined and the sequins are sewn down in a secure manner. Looking forward to seeing these come out. SO excited to see these! 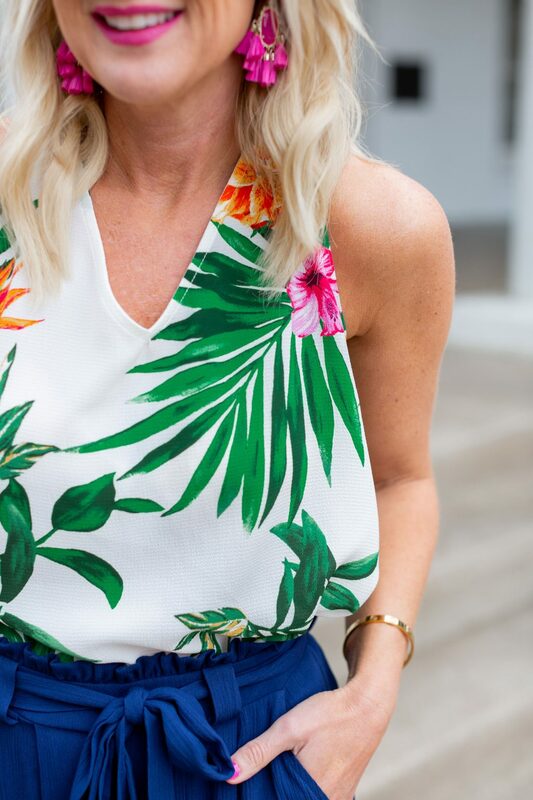 My husband and I are going to Hawaii this summer and I may have to spoil myself with a few pieces from this line. 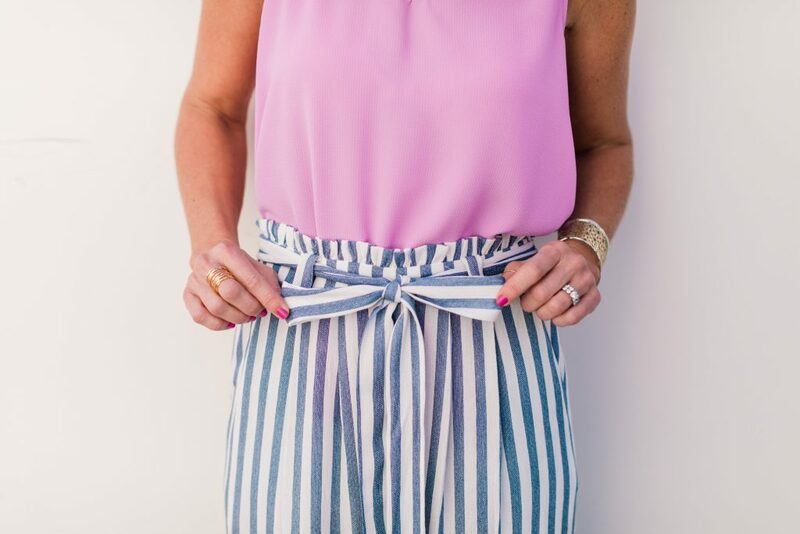 Those blue/white tie waist paints look realllllly cute! Such a beautiful collection! Love it! I’m so excited about this sneak peek!! I’m already shopping for my summer wardrobe, which is a great excuse to ignore the -8 degree temps outside right now! haha! What type of bra would you wear with the racerback dress? I LIVE in dresses especially in the summer, but I’m pretty well-endowed. So I need a lot of support which generally doesn’t come in differing strap styles. 🙂 Thanks! Even this old lady is excited to see! You always share so many things that work even for me! I’ve bought from your suggestions WAY before you brought mama SP on board. LOVE what you do. Thanks so much!!! Mama SP is a huge fan of the collection, as well!!! Looks lovely, but what about those of us who need to wear a bra? Thank you! Most of the pieces work with a traditional bra, and others a strapless bra (or even your swimsuit!!). The collection looks so on point!!! 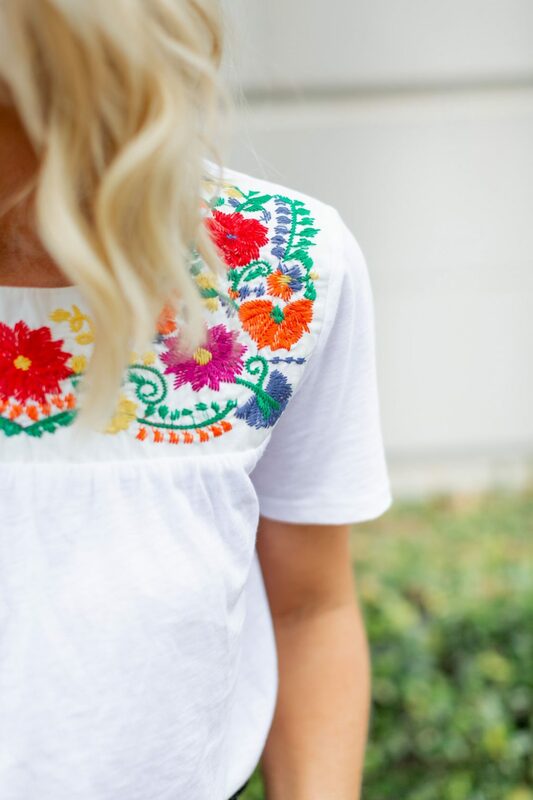 I could have used so many of the items during my trip to Mexico last week….which is maybe why that white embroidered top is calling my name, lol! LOL…yes! Definately perfect for margaritas on the beach!! Cassie you did say I believe the new line comes in plus sizes? So far everything I see I want if that is the case. I am very excited. I am spending 2 weeks in Boca Fla end of February first of March , I want to take it all with me. Yes ma’am, everything comes in Plus and Petite! 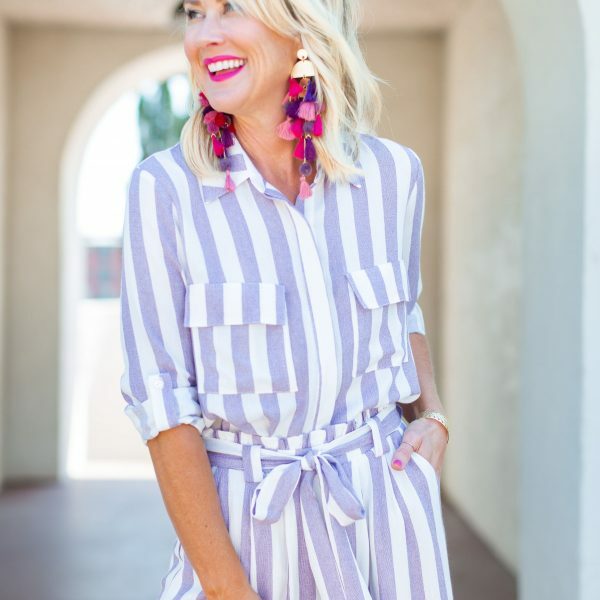 I was able to give several friends in my blogging community advance pieces, and the reviews on fit for all the size ranges has been overwhelming!! I want it all. Just sayin. I just got home from my cruise where I was never totally satisfied with my wardrobe. I don’t buy many items without thinking, “Will this work for a cruise?”. It’s a beautiful collection and I have no idea where I’d start first. Awesome job Cassie! LOL…thanks so much!! I’m so excited for you to see it all!! Your attention to detail gives me all the heart eyes! Can’t wait to see the whole line!!! Awww, thank you so much!! 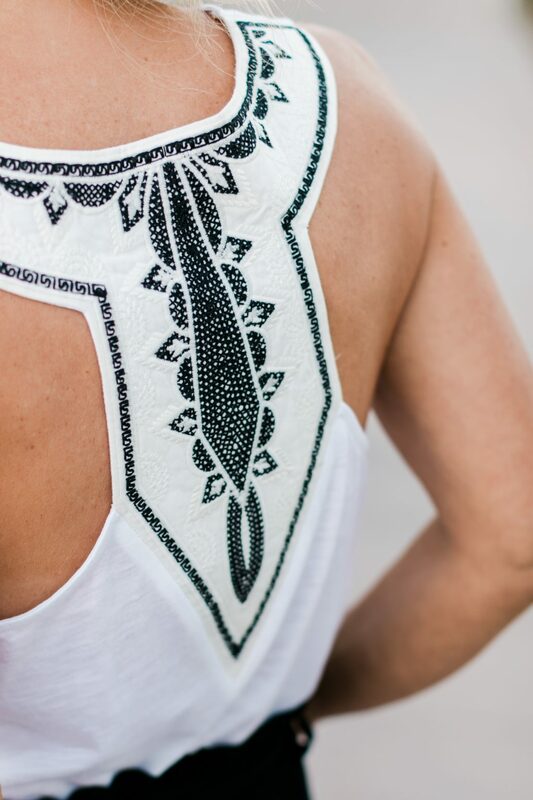 the details are my fave part, and we worked so hard to make each piece special! Hello! Will this be in stores on January 29? There are quite a few pieces I would love for a trip in early February! I am going to Mexico on Feb. 16 and SO hopeful things can be received on time! 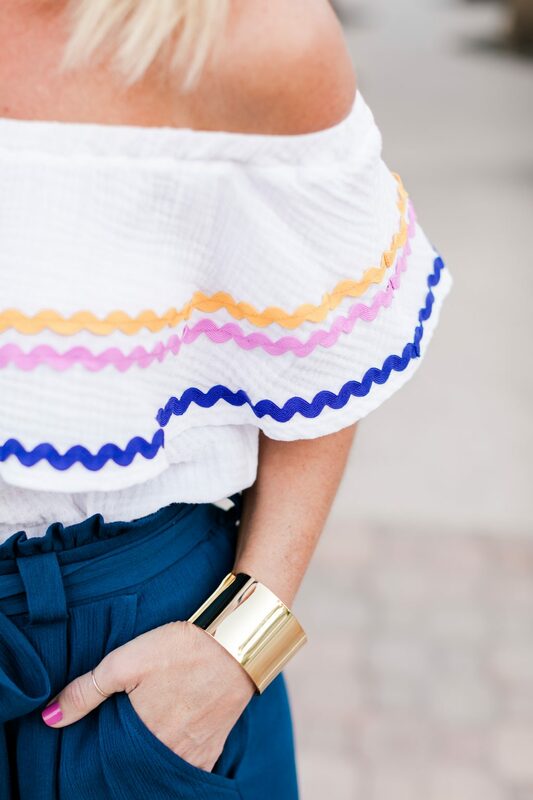 I love the ruffle dresses and the tank with the detail on the back! OH MY WORD! COME! ON! TUESDAY! Well damn…there goes the rest of my Christmas money! hahaha Can’t wait!! Love this collection! Can’t wait to purchase several pieces! 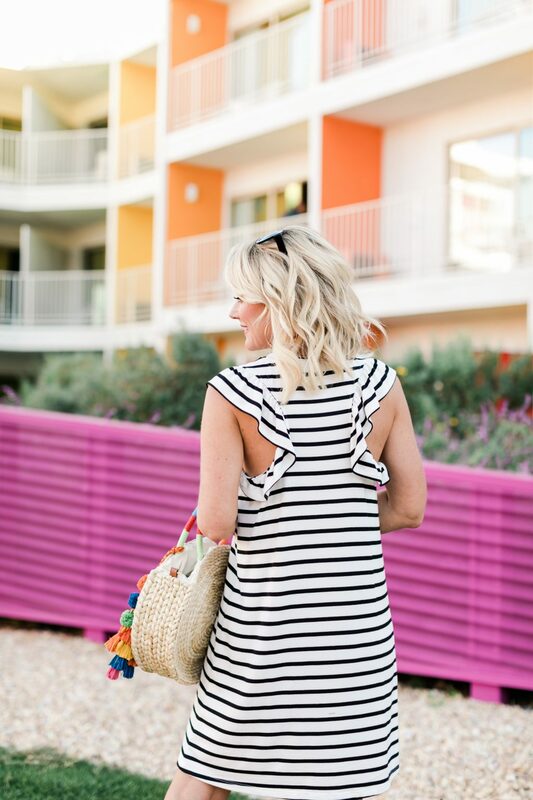 Quick question what size are you wearing in the striped ruffle racer back dress (I am a similar size)? I have several of the racer back shirts from last season and they are my absolute favorite.